In this self-paced course, you can follow one of our provided schedules or work on your areas of weakness to maximize your scores. Each week we host live office hours, during which you can ask us questions in a group chat. Recorded so you can watch anytime, as many times as you want. You get access to all of our LSAT study schedules (normally $20 each). Just got my score…178! I’m stunned. That’s a 9 point increase from last June. Wouldn’t have been able to do it without the help on the forums, preptest review sessions, and office hours! -Over 200 in depth lessons from Joshua Craven and Evan Jones. In this self-paced course, you can follow one of our provided schedules or work on your areas of weakness to maximize your scores. -Weekly live office hours where you can ask us questions in a group chat. Recorded so you can watch anytime, as many times as you want. -Priority access to us, all the way from LSAT prep through to acceptance to law school. We even have a new area for MMG Alumni to communicate. -Free study schedule and tons more premium material: You get access to any of our study schedules (normally 20 dollars each). -You can request content! Is there a game you want explained? We’ll make you an explanation. Something you don’t fully grasp? Just ask and we’ll create what you need. NOW INCLUDES OVER 240 LESSONS! Necessary Assumption Questions: What is a Necessary Assumption? The Lawyer Method In Action – Where Is The Evidence? We’re known around the web for quality LSAT advice that people absolutely love. “I really wish this was around when I first started studying. I would not have burnt through so much material, studied the wrong things, and fell prey to manipulative, scumbag LSAT tutors like this guy I met off Craigslist(he lied about his score, and used tactics to burn as much time as possible so I could pay him a lot of $). “My score [170 (97th percentile) on the December 2014 test] far exceeded my expectations and was outside of what I considered the realm of possibilities. Thank you so much for the free materials at lawschooli.com (I go to your website at least once a day) and also for setting up this low cost/high value group. For those of you out there who haven’t taken the LSAT or are considering a retake, feel confident that you can definitely crush the LSAT with Josh and Evan’s advice. 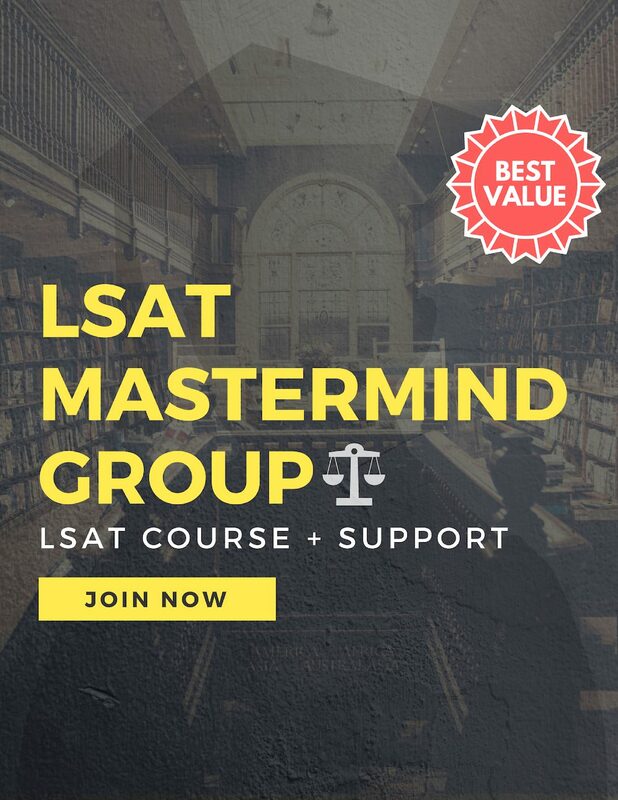 “The LSAT Mastermind Group is the best deal in LSAT prep. It costs less than 1/10 of what you would pay for a classroom course, but you get so much more. There are weekly hour and a half office hours where you can ask any LSAT question you want. You can post questions you have in forums and so you can do other things until your question gets answered. And there are no extension fees at all! The membership never expires. I was skeptical at first like you were because they were offering way more than anything out in the market today. However, after looking through numerous comments on their site filled with information provided to complete strangers for free along with the many articles they have written, I was impressed by the dedication and passion. Studying for #LSAT Oct 3? My score has already jumped 10 points w @josh_craven http://t.co/hoTVWouiN9 & #LSATmastermind Check it out!